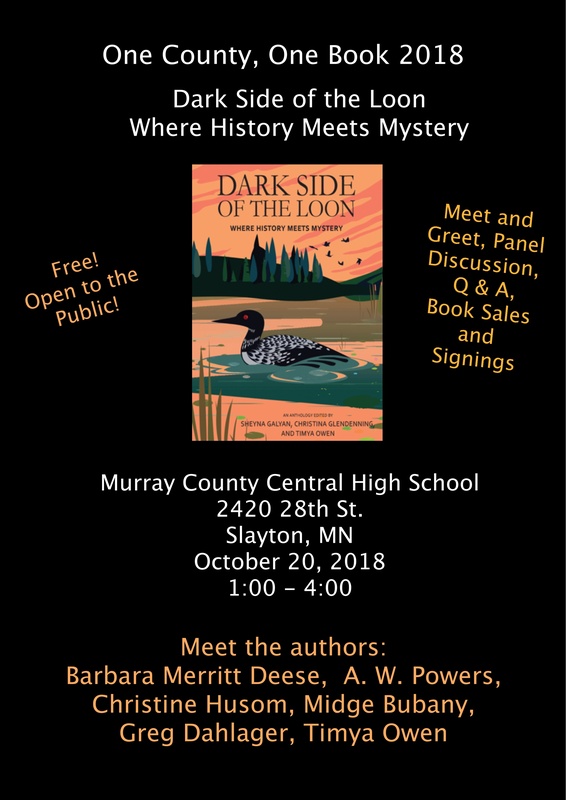 Murray County has chosen the Twin Cities Sisters in Crime Anthology, Dark Side of the Loon, as their County Read. Exciting! Join us for a Meet and Greet, Panel Discussion, and Book Signings. With authors Midge Bubany, A.W. Powers, Greg Dahlager, Barbara Deese, and Timya Owen.